The Massachusetts Appeals Court released a decision on December 30, 2014, Vedensky v. Vedensky (13-P-1392), deciding numerous issues related to the determination of alimony on a modification. The Appeals Court upheld most of the lower court's decision except on one issue, including the payor's second job income, which caused the award to be remanded to the lower court. This continues a trend in recent alimony cases for the Appeals Court and SJC to look very closely at awards of alimony under the still relatively new Alimony Reform Act. In Vedensky, the wife and husband entered into a Separation Agreement in 2007 that included the husband paying child support to the wife and no present alimony, but the issue of future alimony was left modifiable. After suffering from psychological disabilities that affected his ability to work, the husband sought a reduction of his child support in 2009 on a Complaint for Modification, which obligation was terminated in a 2010 judgment. Then in 2011, the husband filed a new Complaint for Modification seeking alimony. The lower court ordered $635 per week in rehabilitative alimony for 104 weeks. The Appeals Court overturned the decision. 1. The first modification proceeding regarding child support doesn't reset the clock on modification. The wife argued that the lower court should have considered the change in circumstances from the first modification in 2010 and not from the divorce judgment in 2007. The Appeals Court disagreed indicating that parties "are not required to pair every complaint for modification of child support with an alimony request." That incentive would clearly be against public policy. 2. Judges are given great discretion in evaluating expert testimony. The wife argued that the lower court erred by failing to consider expert testimony regarding the husband's ability to work. The Appeals Court however gave great deference to the weight given by the lower court to the expert testimony and how it related to the husband's disability. 3. The Judge can use SSI disqualification regulations to determine earning capacity. The wife argued that the lower court erred in how it determined the husband's earning capacity by relying on the disability disqualification regulations for SSI and indicating that the husband could earn up to that amount. According to the Appeals Court this was not error and it was consistent with the lower court's order that the husband undergo therapy, which was intended to increase the likelihood of a return to full-time work. 4. Clear findings by a Judge can support an award that exceeds current need. The wife argued that the lower court erred by awarding the husband alimony above his needs. The lower court specifically outlined that the increase above his stated need was for the anticipated cost of treatment, which was necessary to comply with the court's order. The Appeals Court reiterated the considerable discretion given to the lower court, especially when the award "flowed rationally from the findings and rulings." 5. There is a Presumption against including a new second job in an alimony modification. "[i]ncome from a second job or overtime work shall be presumed immaterial to alimony modification if: (1) a party works more than a single full-time equivalent position; and (2) the second job or overtime began after entry of the initial order." Since the wife took a second job only after the entry of a judgment of divorce "the presumption of immateriality applies to income earned from her second job." The Appeals Court therefore overturned the alimony award and remanded the issue to the lower to make findings relating to this issue and a new award of alimony taking into account this presumption. The Appeals Court points out that the presumption may be rebutted if there are sufficient findings in the lower court, which unfortunately for the parties will likely require a further evidentiary hearing. 6. It only takes one issue for a decision to be overturned on appeal. In Vadensky the lower court did almost everything right according to the Appeals Court, and the parties failed to raise the second job issue to the Appeals Court. Despite all of that, it only took this one oversight and a thorough appellate review to return these parties back to square one. This is a downside of litigation that is seldom discussed with parties at the beginning of a case. The only sure way to avoid further litigation is to reach a settlement. Even winning at the trial level can be overturned by the appellate division. Given how lengthy this modification process has already been for the parties, we hope they are encouraged to consider mediation as an option before returning to the lower court for another round of litigation. 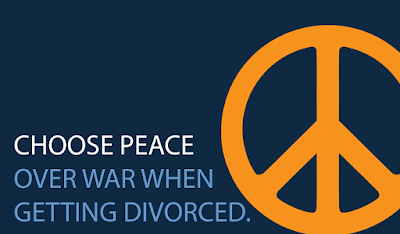 Visit our main page for more information about mediation or alimony. A colleague shared with us her idea for writing a book on divorce comprised of actual letters written by ex-spouses to their former partners. Recently one such letter went viral and another colleague of ours pointed out the wisdom that could be gained from this type of correspondence. I write to invite you to participate in a unique educational opportunity. I am writing a book that will be a collection of actual letters to ex-spouses from individuals such as yourself. These are not necessarily copies of letters that were ever sent to your ex-spouse, but are more likely to be letters you would be writing now - for the first time (which you may choose never to send), expressing to your ex-spouse what you “just wanted them to know” as you reflect back upon your marriage, divorce, and all that has followed. My hope is that engaging in the actual introspection and writing of this anonymous letter will not only prove cathartic to you, but will serve as a tremendous contribution to the professions of psychology, law, theology and medicine - as therapists, family lawyers, clergy and psychiatrists have much to learn from the vantage point of your experience. There is no page length, no direction you “should” take – other than to write from the heart. Although the letters will be published anonymously, it is impossible to guarantee that someone will not recognize your letter or claim to recognize your letter; therefore, you may wish to modify certain distinguishing factors (e.g., any geographical locales identified; any names used or professions referenced; or, number/gender of any children mentioned). That said, I am requesting that, along with your letter, you complete a survey: for purposes of the survey, please be 100% accurate and honest in your responses since this part of the book will be used for educational purposes. More specifically, I intend to subcategorize the letters into various chapters based on interesting variables such as how long couples had been married, whether they had children together, and whether either ex-spouse subsequently remarried. 3. Please complete the SurveyMonkey survey found here. 4. Here is the tricky part: I need to be able to connect your “surveymonkey” responses to your letter! a. Take the surveymonkey online and then simply print out the completed survey and transmit it to me - along with your letter - via email, fax or U.S. mail. * Please remember: If you do not send both your letter and survey to me together, then please let me know via separate communication that your letter and your survey are uniquely linked by some identifying information so that I can connect them for research purposes. Please feel free to let me know if you have any questions or concerns. MANY THANKS FOR YOUR MOST VALUABLE CONTRIBUTION!